Every effort is made to ensure that the contents on this website is accurate, the website is provided "as is" and www.menakabooks.com / MediaNext Infoprocessors Pvt. Ltd. makes no representations or warranties in relation to the accuracy or completeness of the information found on it. While the content on this site is provided in good faith, we do not warrant that the information kept on the site is up to date, be true and not misleading or that the site will always (or ever) be available for use. Under no circumstances / events will www.menakabooks.com / MediaNext Infoprocessors Pvt. Ltd. be liable for any incidental, indirect, consequential or special damages of any kind or damages whatsoever including without limitation, those resulting from loss of profit, loss of contracts, goodwill, data, information, income, anticipated savings or business relationships whether or not advised of the possibility of such damage arising out of or in connection with the use of this website or any linked websites. Nothing mentioned in this disclaimer notice excludes or limits any warranty implied by law for death, fraud, personal injury through negligence or anything else which it would not be lawful for www.menakabooks.com / MediaNext Infoprocessors Pvt. Ltd. to exclude. Material on this website, including text, images and logos is protected by copyright law and is copyrighted to www.menakabooks.com / MediaNext Infoprocessors Pvt. Ltd. / Menaka Prakashan. All intellectual property rights in relation to this website (design, functionality etc) are reserved and owned by Lets Webify Ecommerce Solutions. This disclaimer shall be interpreted and governed by the Indian Law and any disputes in relation to it are subject to the jurisdiction of the courts in Pune (India). L7-L8, Suyognagar, Behind Shivaji Housing Society, Senapati Bapat Road, Pune – 411 016 and corporate office at 2117, Sadashiv Peth, Vijayanagar Colony, Pune – 411 030.
www.menakabooks.com / MediaNext Infoprocessors Pvt. Ltd. respects the privacy of its users and is committed to protect it in all respects. With a view to offer an enriching and holistic internet experience to its users, we have seen to it that the security is of the highest degree. You may also check the 'About us' to know more about www.menakabooks.com / MediaNext Infoprocessors Pvt. Ltd.
All the information gathered on our websites is securely stored within the database controlled by us. The database is stored on servers that are secured by a firewall, and access to these servers is password protected and is strictly limited. However, as effective as our security measures are, no security system is impenetrable. We can't guarantee the security of our database, nor can we guarantee you that the information you supply will not be intercepted while being transmitted to us over the internet. Any information you include in a posting to the discussion areas is available to anyone with Internet access. Returns: www.menakabooks.com / MediaNext Infoprocessors Pvt. Ltd. will accept returns of the books purchased through the website www.menakabooks.com, subject to the terms and conditions mentioned below. Customer will have to inform www.menakabooks.com / MediaNext Infoprocessors Pvt. Ltd. of his/her intention to return the product within 24 hrs of receipt of the goods at his/her destination. Return is to be sent only after written email consent from www.menakabooks.com / MediaNext Infoprocessors Pvt. Ltd. to send back the product. Returns, if any, have to be made within 1 days of receiving the good and same should be received to the www.menakabooks.com / MediaNext Infoprocessors Pvt. Ltd.'s address mentioned on this website within 3 days. 2117, Sadashiv Peth, Vijayanagar Colony, Pune - 411 030. Helpline: +91 - 9823 69 69 60. All orders are shipped within four business days. Tracking numbers, if available, will be automatically e-mailed on the day of the shipping to the e-mail address provided by the customer. Packages shipped by www.menakabooks.com / MediaNext Infoprocessors Pvt. Ltd. are not insured against loss or damage. You need to check the packet while accepting the same. We dispatch all our products through India Post. If requested by the customer and upon checking feasibility, we dispatch the order by First Flight Courier, India Post and via Amazon. To get the ordered product in time, kindly ensure that your PIN code is serviced by respective shipping companies (kindly check their respective websites). 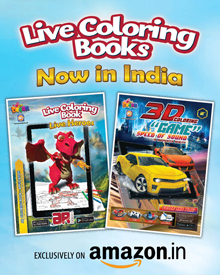 We do sell, ship and deliver books / magazines outside India.